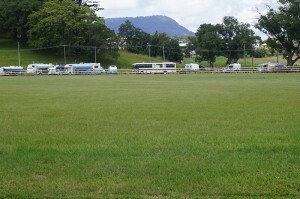 Murwillumbah Showground is open for short term (up to 1 week) tourist camping. 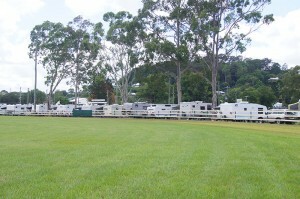 The showground can cater for Fifth Wheelers, Motor Homes, Clubs, Caravans, and even Tents. 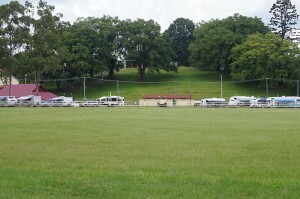 Accommodation includes power, water, hot showers and plenty of neatly mown grassed areas. 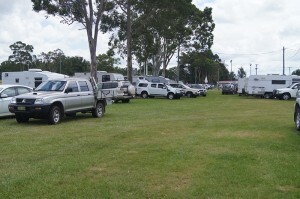 Dogs are even welcome as long as they are kept under control and owners are responsible in cleaning up after them . 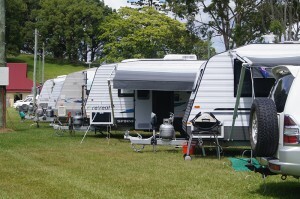 Cost is $25.00 per night for 2 people, $20 per night for a single person. Our Caretakers, Greg & Meg, are sure to make you welcome and your stay enjoyable. Meg hosts “Happy Hour” every afternoon. Campers really enjoy this time of fellowship and the sharing of information – especially local places of interest. 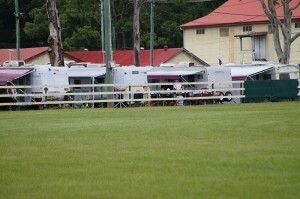 Murwillumbah Showground and the treasures of the Tweed Valley await your visit.